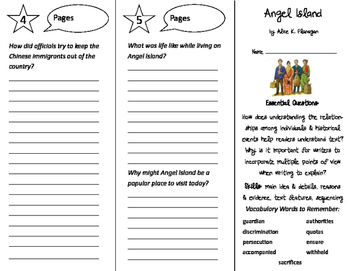 These is a trifold that can be done independently or in small groups for the story Angel Island of the 5th grade ReadyGen series. I also have the original ReadyGen version completed. Please make sure it is the right version before purchasing. A version without page numbers is also included.